Working around food requires careful attention. It is important that you know and understand the requirements for proper health and safety in handling food and beverages. You must obtain a Food Handler card as required by your state. Our food handling courses cover the training on the topics you need and for a great price. You can complete your courses for certification conveniently from anywhere and at any time through you computer. Were you aware that 1 in 3 people get their job in the food service industry? Walking into a job interview with a Food Handler Certification could land you the job over the next applicant through the door. Our food handling courses are approved by each state. Putting this certification on your resume is a plus. Our food handling courses are comprehensive in their content, following the guidelines set forth by the United States Department of Agriculture. They cover a wide variety of topics such as the legal responsibility of being properly trained, pathogenic bacteria and their affect on foods, allergens, time and temperature controls, food pests, cleaning, personal hygiene and more. You’ll have access to an instructor that will help you, if needed, also. This course is especially designed for entry-level professionals in the food service industry such as servers, cooks, cashiers, and convenience store clerks. By taking one of our food handling courses, you will gain the basic principles for food safety and be prepared to pass the test for your Food Handler’s Certificate. 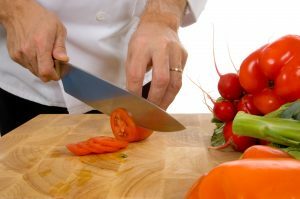 You will learn to practice techniques that ensure optimal hygienity, food storage, how to recognize symptoms of foodborne illnesses or infestation, methods for sanitizing, and understand procedures for receiving and serving food. Check our list of food handling courses below and sign up today to jumpstart your career! Just enroll in the course for your state. Check with your employer, if possible, to see if you must have an ANSI certified course, as those are also available. In addition, if you need to obtain your Alcohol Seller/Server permit for your state, we have those online courses for you also! Montana Montana Learn2Serve Food Handler Training Certificate Program $7.00 Enroll Now"